On Sunday, 4 November, a 10-foot-tall bronze statue of a Sikh soldier was unveiled, with public ceremony, on the High Street of the town of Smethwick in the Midlands in the UK. Formally titled the Lions of the Great War, the monument, which depicts a turbaned warrior in full battle gear, is a striking spectacle in Brexit Britain, especially so in the Sandwell borough, which voted to leave the European Union in the 2016 referendum. Days before the monument went up, British Prime Minister Theresa May announced that she would join some of her fellow parliamentarians into wearing khadi poppy to honour the Indian soldiers killed in World War I. Both these gestures, offered in the run-up to the centenary of the Armistice Day, which marked the end of the war on 11 November 1918, cannot be construed as simple acts of commemoration. Britain, it seems, is at long last ready to reckon with a relatively unspoken aspect of its unsavoury colonial legacy: the human experiences of the million-plus soldiers from British India who fought in the trenches of World War I. Over the last decade or so, archival research using photographs, documents, letters, diaries and notebooks, amplified by oral history collected from survivors, has opened up new horizons in our understanding of the war. Indian sepoys billeted with a family in France. And of the fate of the Indian sepoys who joined it, through self-interest or coercion, travelling vast distances into lands unknown, to fight for the causes of their imperial masters. From the interstices of the military narrative, drowned by the roars of artillery and thundering political speeches, another story of psychological trauma is being recovered. It is a jigsaw puzzle of feelings—made up of scraps of letters, voices preserved on scratchy records, or entries in diaries that caught fleeting moments of intimacy, an expression of care and compassion between men, who suspended, to an extent, their relationship of ruler and the ruled in the trenches. Without these moments of redemption, war becomes bereft of the vestiges of dignity and turns merely into a geopolitical game of chess. We were really scared after receiving your letter. Mother says that you can write to us what goes on in your heart," a young girl called Kishan Devi wrote from Punjab in the early years of the war to her father, Havildar Sewa Singh, who was stationed in Egypt. “I am like living dead without you... Dear father please take leave and come to meet us. Please do come. We repeat again and again. My mother bows her head to you to pay respect. We do not have any more envelopes..."
Her postcard, filled from end to end with the message written in an urgent, childish hand in the Gurumukhi script, is one of the many heart-wrenching documents that appear in a magisterial new study, India, Empire, and First World War Culture: Writings Images, and Songs (Cambridge University Press, ₹ 2,049) by Santanu Das. Currently Professor of English Literature at King’s College, London, Das has spent well over a decade travelling in Europe and other parts of the Commonwealth to examine the experiences of those who were affected by the Great War. Appearing early in his narrative, Kishan Devi’s letter may read like a desperate plea (“We repeat again and again"), but it captures the overwhelming sentiment of both parties that were scarred by the war: those who went out to fight at the fronts and those who waited for them to come back home, often in vain. The several million recruits from across the Commonwealth—of which over a million came from British India alone—suffered unspeakable violence, racism and acute culture shock in their foreign outposts. 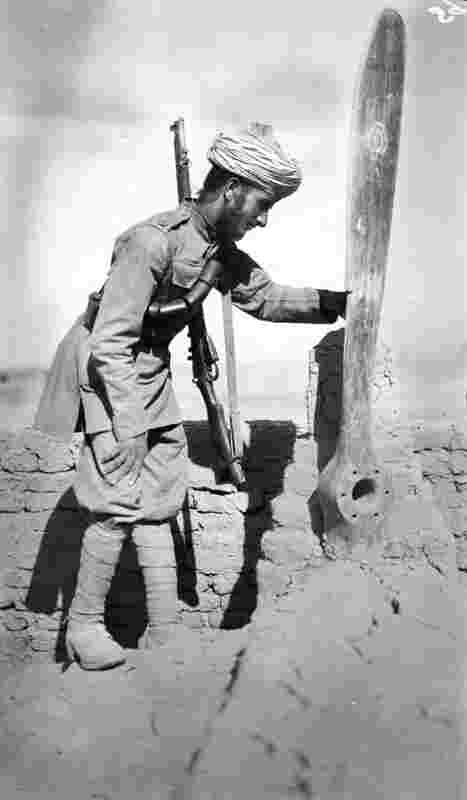 While the tragedy of the European and British troops is well-documented, it has taken us a good hundred years to piece together the story of the brown men (especially the Indian sepoys) who fought the same war and incurred the same losses. The vast majority of the Indian soldiers were recruited from the rural hinterland, especially from the Punjab, by dangling economic incentives before them or through cold coercion by local leaders. Even those from the educated elite, who joined of their volition, were wracked with fear and abject nostalgia. The call of a bird in a foreign land reminded them of home, they dreamt of the food eaten by their families, and the devastations of trenches recalled for them scenes from the Mahabharata and the Karbala. In their haunted letters back home, often dictated to scribes since a majority was not literate, descriptions of their miserable plight are juxtaposed with remembrance of times past, and a tremulous apprehension of the future that awaited them. By closely reading his manifold sources, Das exhumes what he calls “a texture of experience and feeling" that pushes us to rethink historiography, especially the role played by memory—the affirming yet amorphous grounding it provides to formal modes of public documentation. Through his pursuit of evidence that bears traces of the physical body in forms other than writing—preserved, for instance, in photographs, recordings, and interviews—Das forges a vital link between history and life-writing. By looking through the sepoy’s eye, he offers illuminating insights into the deeper provocations behind their recruitment, those that went beyond the script of valour and the glory of martyrdom touted by the political leaders. The Horatian adage holds largely true in the case of the Indian sepoys who enlisted in the Great War—even though the country they fought to defend was not theirs to claim ownership of. Why, then, did they wager their lives for a cause that would benefit their colonial masters? Like all wars, the recruitment for World War I was also an elite affair, dictated from the top down. On the eve of the momentous event, the Nizam of Hyderabad gave a fiery speech, pledging his support to the Crown: “In 1887, my revered father offered to Her Imperial Majesty, Queen Victoria, the sum of ₹ 60 lakh when danger merely threatened the borders of the Indian Empire," he said. “I should be untrue alike to the promptings of my own heart and to the traditions of my house if I offered less to His Imperial Majesty, King George V, in this just and momentous war." If the rulers of the princely states felt beholden to support the British, to whom they owed their titles and land, leaders of the nationalist movement, such as Jawaharlal Nehru, trained their sight on long-term gains from India’s participation in the war, hoping for national self-determination as a reward for India’s fealty to the Crown. Even M.K. Gandhi, sworn pacifist and follower of ahimsa (non-violence), prompted Indians to go into battle—his injunction to the soldiers was not to kill but to sacrifice their lives for the sake of their motherland. Das pays close attention to the ambiguous nuances of Gandhi’s reasoning in a compelling section, where even the Mahatma appears susceptible to instrumental reasoning. ‘Martyrdom’ in the war, he felt with leaders like Bal Gangadhar Tilak, would pave the way for India’s self-rule. In a bitter irony though, the year after the war ended, the British government would pay back Indians with one of the worst devastations ever, as General Dyer ordered the massacre of hundreds of innocent Indians gathered at Jallianwala Bagh in Amritsar in 1919. But the empire’s ruse, if it can be called that, was already being outed in the Indian press during the war. In a new anthology, The Great War: Indian Writings On the First World War (Bloomsbury, ₹ 699), editor Rakshanda Jalil includes the following lines by Akbar Allahabadi, an Urdu poet known for his trenchant satires: “Though Europe has great capability to do war/ Greater still is her power to do business/ They cannot install a canon everywhere/ But the soup made by Pears is everywhere." Cutting through the faux nobility of the war, Allahabadi bares open its obscenely mercantile lust, a quest for power bordering on megalomania. I am the enemy, you killed my friend," admits one soldier to another towards the end of what is one of the greatest poems about the pity of war, once again by Owen. Like death, or because of its pervasive presence in it, war is also a great leveller. By bringing together fighters from different nationalities in the allied forces, the Great War created a racially level playing field for the troops. For the first time in their lives, fighting neck to neck with French and British soldiers, Indians glimpsed the scope of a democratic sphere, though they were never paid equal to the white soldiers or treated with as much fairness as them. Still, differences of caste and religion were set aside, as were dietary habits, among the Indians. At their worst, deranged by fear and desolation, they inflicted wounds on themselves (as did many white soldiers too) to earn a reprieve or early release from service. But, by and large, their sheer resilience and undying sense of loyalty to the Raj remained unshaken, though it remains relatively unsung in historical chronicles. In yet another new book, The Indian Empire at War: From Jihad to Victory, the Untold Story of the Indian Army in the First World War (Hachette India, ₹ 699), George Morton-Jack draws on a monumental storehouse of material to recreate the role played by Indian soldiers in the Great War. From the dangerous missions they undertook as double agents to the ordeals they endured as prisoners of war, Morton-Jack shows the Indian soldiers as playing a decisive role in the fortunes of the war. “The Indian soldiers were…seasoned professionals and cold-blooded killers," he writes, “more travelled, politically aware and militarily skilled than they have been given credit for." Bolstered by their loyalty, even in the face of torture by the enemy or humiliation from the British, a generation of Indians returned home from the Great War with a vision of a more just, more equal world. It would be nearly three decades for independence to prevail in their own land, that too at the cost of one of the bloodiest mass migrations in world history. But it was the Indian soldiers’ experiences in the trenches of World War I that sowed the dream for a new life, and nurtured it for the next 30 years.